ELLENSBURG, WA (September 3, 2018) – Mocha Death is your Pacific Northwest toolkit that now comes in 6-pack 12 oz cans so it’s even easier to take with you on your next campout. It’s a dark beer with a huge espresso nose – so big you can taste it. Pure cocoa and all the complexity of our Irish Death rolled together with the aforementioned coffee notes to dole out a highly enjoyable slap in the face. It pairs well with campfires, trail mix and breakfast, so next time you whip up those pancakes you might want to whip out a can of Mocha Death. Iron Horse is celebrating the release of this beer in cans by giving away a single tap kegerator so consumers and fandvocates (fans and advocates) can drink their favorite brew whenever desire strikes. Two grand prize winners will receive a kegerator that will be stuffed with Iron Horse Brewery merchandise, 50 pounds of coffee, a grinder and mugs, so they’ll be ready for anything in the Pacific Northwest. Mocha Death is made in collaboration with D&M Coffee Roasters, which has been roasting their delicious beans for over 20 years. Mocha Death 6-packs will be available in Washington beginning September 1st and will follow in other states. 22 oz bottles and draught will be released at that time as well, which is a month earlier than in previous years. [ you’re welcome ]. The release has been in the works for several months with placement secured at several of the major chain grocery retailers as well as independent grocers and beer retailers. Consumers hoping to get their hands on the six-packs can use Iron Horse Brewery’s Beer Finder for exact locations. The Beer Finder can be found at http://ihor.se/beerfinder. Take a picture of a mocha can and your breakfast. Submit it to Instagram, Twitter or Facebook with the hashtag #mochadeathbfast to be entered to win a branded stainless steel mug. Or visit www.mochadeath.com to enter to win the Pacific Northwest Toolkit grand prize that includes a single tap kegerator filled with IHB goods, 50 pounds of coffee, a grinder and mugs. Contest runs from September 15, 2018 – November 15, 2018. Complete rules for entry at https://www.ironhorsebrewery.com/rules. 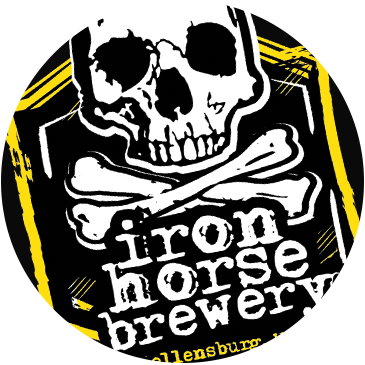 Iron Horse Brewery, centrally located in Ellensburg, WA, has been producing hand crafted ales since 2004. Iron Horse is owned by father-son team Greg and Gary Parker. The brewery has 51 employees and produced just under 24,000 barrels in 2017. If for some reason you’re still still reading this and you’d like to learn more about the brewery, visit www.ironhorsebrewery.com.